This is THE PODCAST for learning how to dominate the CPA exam in style, so you can become a licensed Certified Public Accountant. 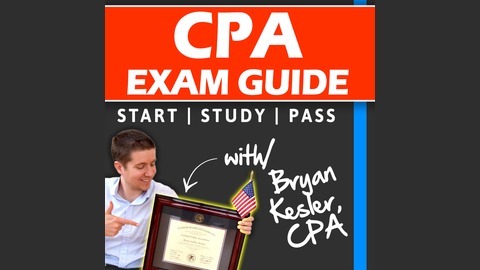 Bryan Kesler, CPA walks you through the steps he took to pass the CPA exam while working full time and hosts interviews with people very similar to yourself to learn how they are successful in their accounting careers. Bryan is the worlds leading CPA exam mentor and has a mentorship service for accounting professionals call Ultimate CPA Exam Guide. Need a CPA exam mentor? Head to CPAexamMentor.com for more details. The following is for search keyword purposes. Accounting Career, Big Four, KPMG, PWC, E&Y, Deloitte, Roger CPA, Wiley CPAexcel, Becker, Gleim, Another71. 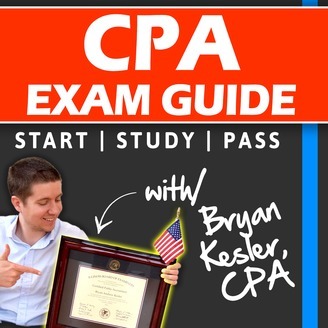 BONUS CONTENT: www.CPAexamMentor.com - In today's episode, Bryan discusses the exact steps he took to pass the CPA exam and the method that he formulated from these steps that he has taught to thousands of CPA candidates around the world. 012: CASE STUDY #3 - Did Lucas Pass FAR?